If you are new to GlowHost and are having trouble getting up and running, or your new site has been suspended, please visit support for new accounts to see if we can resolve your issue. We have a 20 minute or less target response time on support tickets, so have no fear that your question will take days or weeks for a generic answer like you may have experienced with other online companies. We pride ourselves on careful attention to detail, and rapid response times. Our phone support agents are USA based and are available 24 hours per day, 7 days per week, including holidays. Telephone support can create a ticket for you or can help you with general problems like how to login to GlowHost, how to pay your bill, validate your new account, and other general issues like bill payments, lost passwords, change of email address, or usage of the GlowHost web site. You are free to call our telephone support line whenever you like, but please note our telephone support agents have limited access to your accounts and are trained to offer general support as described above. In most cases, if you have a technical problem with your own web site, our telephone support agents are going to escalate the issue to our Technical Analysts. When this happens, a support ticket is created and is entered into our technical support ticket queue. When your ticket is created, you will receive an immediate ticket confirmation in your email. Shortly after you receive the ticket confirmation, our Technical Analysts will read, review and investigate your issue. Next, they will send you a secondary update via email. The secondary update generally takes about 20 minutes to receive. The secondary response may be a complete fix, or a request for more information from you so that we can complete your request. If you feel that your request may be something other than general support as described above, and is a specific issue related to your individual web site or account, in many cases it would be beneficial for you to create the ticket on your own, so that you are in the ticketing queue faster since collecting this information over the phone naturally takes longer than typing it into a web page. In other words, by the time you dial our number and dictate your domain name and technical issue, you could have probably filled out your ticket in it’s entirety and already received a reply from our Technical Analysts at the helpdesk. Keep in mind phonetic spelling of domain names and email addresses over the phone can be confusing, mistaken, or in some cases, just frustrating to get it right which does slow your ticket creation time. This is especially true if your first language is not English and you have a heavy accent, or if you use certain VOIP services which may break in and out when we are trying to collect data from you. Remember that the web is a text based environment, and typing domain names, email addresses and similar details into a ticket online is often times a much more efficient and almost always a much more accurate approach because it limits the possibility of typos from names and addresses taken on the phone. I have read and understand the above. Show me the phone number already! Here ya go! We look forward to hearing from you. If you require VIP telephone support, this option provides you with direct phone access to our high level Technical Analysts instead of Level 1 support, and your ticket receives priority escalation. This option costs $65.00 and covers a single support incident, which includes as many calls as needed to resolve the issue, for up to one hour of service. Additional hours will be billed at the normal rate of $65.00 per hour. VIP support can be used for, but is not limited to problems related to functions of your web site, usage of your PC and it’s programs/applications, usage of software on your web site, consultation or other educational training. Our Technical Analysts can take command and control of your PC from a remote location and can show you how to perform certain functions if you are having trouble solving a problem on your own. To purchase this option, please call our toll free number above or create a ticket and request an appointment. You may also upgrade to a monthly VIP telephone support package. Please inquire at our helpdesk for a quote based on your usage requirements. We can arrange plans from a single telephone incident per month, to unlimited 24/7/365 VIP phone support access. We offer VIP telephone support in English, Russian and Ukrainian languages. Users may request special training sessions via AIM, MSN Messenger, Skype or Remote Desktop if your operating system supports it. These services are available by appointment. Dedicated training support services like a private IM session or Remote Desktop assistance require a price quote. Please contact us at our helpdesk outlining your individual needs so that we can provide a quote. If you need to discuss your issue with a human, submitting a ticket to our help desk is the most accurate and efficient way to get answers from our Senior Technical Analysts and Systems Administrators if your question is not covered in the online documentation. Things like domain names, email addresses, and error messages are much easier to copy and paste into a ticket rather than to try to dictate these things over the telephone. 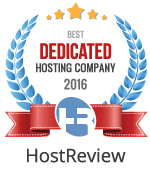 This holds especially true in a global business like web hosting because the quality of the line, and the accent of the the speaker may not always be crystal clear to both parties. This can cause unnecessary time delays and frustration. Our Technical Analysts are not generally answering phone calls. These are the guys that work in dark rooms and drink coffee all day staring at computer logs. These are the guys that make the Internet work, and they do that with their keyboards and mouses for the most part. They will tell you that it is exceptionally difficult to read complicated technical jargon, type on their keyboards, AND try to hold a meaningful conversation at the same time. These are the guys who will eventually fix your issues, so setting up a ticket is the fastest most direct route to them. Not all questions have immediate answers. Typically once a ticket is received, it’s being read by several of our amazing staff members to determine who is best suited for the task based on their individual skill-set or job title. Once this step has been resolved, the investigation begins. This is the part that would be very boring on a phone call because this is where you would be placed on hold, listening to elevator music, while the selected supertech would proceed hammering away on his keyboard searching for the solution. Instead, you can simply send a ticket, walk away and do other important things. Let’s face it, everyone has a “to-do” list, and we’re pretty sure listening GlowHost’s automated music system is not on any of them. Once you submit your ticket, you’ll have a response in about 20 minutes in most cases. This beats the elevator music, we promise. Our phone techs are able to assist with usage of the GlowHost web site. This includes things like help paying your bill, help recovering your password or username, problems with an order, or any other thing that might happen on GlowHost.com. If the issue is something related to your web site, our phone agents of course are not trained on the ins and outs of your unique creation, but they are still happy to assist you towards resolution. If the issue is related to some part of your web site, they will submit a ticket for you. This is helpful if you don’t have access to a computer or the Internet, but also know that a problem exists and would like to have our techs take a look for you. Finally, if you just don’t feel like typing into a web page and submitting a form, don’t understand the process, or don’t want to use our live chat live chat option, we’ve got you covered. Call us any time 24/7/365 and we’re glad to help. Our number is 1-888-293-4678. Talk to you soon! If you require VIP telephone support, this option provides you with direct phone access to a high-level Technical Analyst instead of standard telephone support. With this option, your ticket receives priority escalation. This option costs $65.00 and covers a single support incident, which includes as many calls or talk-time as needed to resolve the issue, for up to one hour of service. Additional hours will be billed at the normal rate of $65.00 per hour. VIP support can be used for, but is not limited to problems related to functions of your web site, usage of your PC and it’s programs/applications, usage of software on your web site, consultation or other educational training. Our Technical Analysts can take command and control of your PC from a remote location and can show you how to perform certain functions if you are having trouble solving a problem on your own. To purchase this option, please call our toll free number above or create a ticket and request an appointment. You may also upgrade to a monthly VIP telephone support package. Please inquire at our helpdesk for a quote based on your usage requirements. We can arrange plans from a single telephone incident per month, to unlimited 24/7/365 VIP phone support access. You’ve Started a Live Chat! Congratulations! Start Chatting! If you do not see the chat window, please check the lower right side of this page. You may also launch a new chat from there. Got Errors? The answers to many of the most common questions can be found here. From “How do I setup my email program” to comprehensive Linux tutorials, the Knowledge Base should be one of your first stops for support. Try the search function when you encounter a specific error on your web site or application. Just copy the error code or message to your clipboard, then put it in the search box and you will often times find results for your specific issue. You can post comments on any topic to get more information from our staff or other community members. Your follow-up helps keep the Knowledge Base accurate and up to date. This is a great place to get involved with other webmasters, developers and web site owners. Start your own thread, or find answers to many common questions. Many common problems and resolutions can be found and discussed on our community forums. Our forums are meant for member to member support and anyone is free to post or search here. Our team also visits the forums every day and will try to answer any unanswered threads as their time allows. Please get familiar with the “search” option on our forums as it will make your forum experience a better one. We strongly recommend that you search our forums AND the search at the top of this page before submitting a trouble ticket. You are free to post your support request directly on the forum if you feel it will benefit the hosting community or Internet users in general, but you may need to register to do so, first. Please do not post sensitive information on the forum as it is open to the general public. If you have a suggestion for a tutorial, or would like to see a tutorial improved upon, feel free to let us know and we will add it as soon as we can. We thank you for choosing GlowHost.